The Cloud has become the topic of conversation among many who are looking for IT solutions. On-premise or in-house networking has been the normal manner to supply IT services. The obstacle has been the up-front capital investments needed to install a system that suits your needs, as well as the cost to maintain that system. While there are strong advantages to installing a system on-premise, for many others, businesses cannot justify the investment. 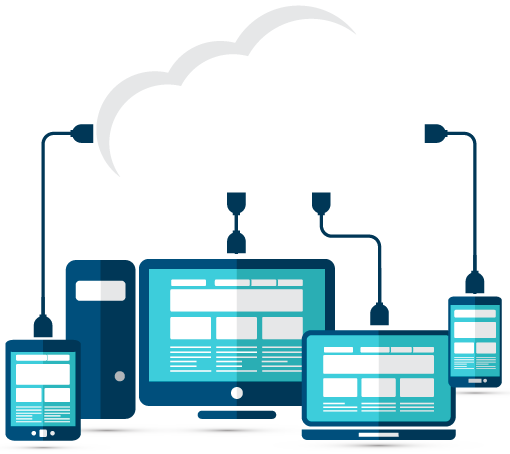 Cloud Services provide a vital option where all services are paid on a monthly basis depending on what services you require. Office 365 has rapidly become the de facto platform for running your Microsoft Office Suite. The advantages are great and the monthly subscription costs are even greater. As a Microsoft Partner, we see the benefits for all of our clients and would like to extend this to you. Besides Office Business Suite Applications such as Word, Excel, PowerPoint, Outlook, Notes. There is Exchange Mail Server as a Cloud Service as well as SharePoint. All of this for one, low monthly price. Let us help you with Office 365. We offer migration services for those moving to Office 365 Hosted Exchange from your existing email server. Email Migration to Office 365 Exchange can be a complicated and time-consuming task and depending on your current email configuration, it can be quite daunting. We have done migrations with great success. Let us help you! Your network server can now be in the cloud. There are advantages in doing so. Network administration, maintenance, and hardware costs are done in the cloud. Updates to the operating system and server security is done in the cloud. Also, if you need a server for a short period of time, say for a special event, we can provide that for you to your specifications and time duration. Host your applications in servers in the cloud. This difference with PaaS and IaaS is with PaaS you get purely the Windows or Linux server environment. You do not need to be concerned with what is “under” the OS Platform. Just like working off the Windows Server console screen.